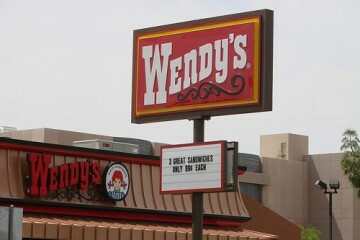 When restaurants expand to multiple locations, many of the fans and patrons begin to worry if the quality will slip. 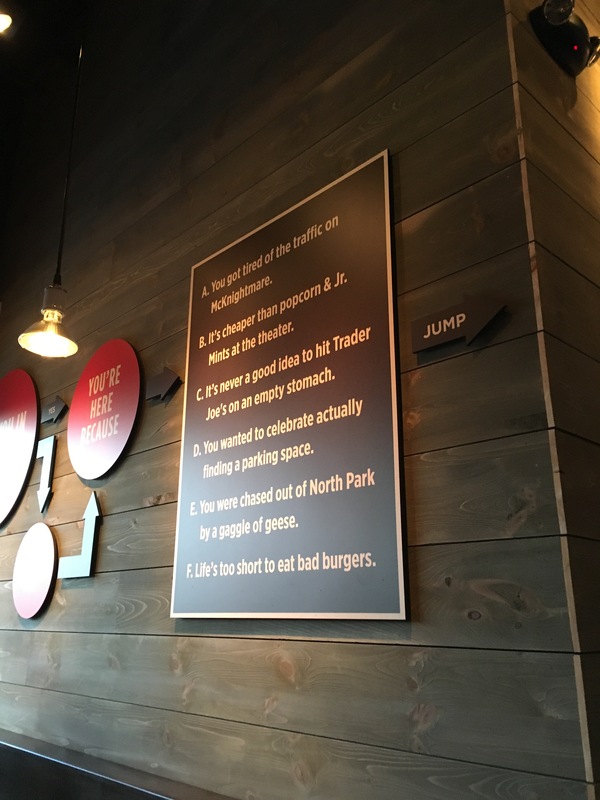 Burgatory has bucked this trend as their Burger Empire continues to expand with consistency and attention to detail. 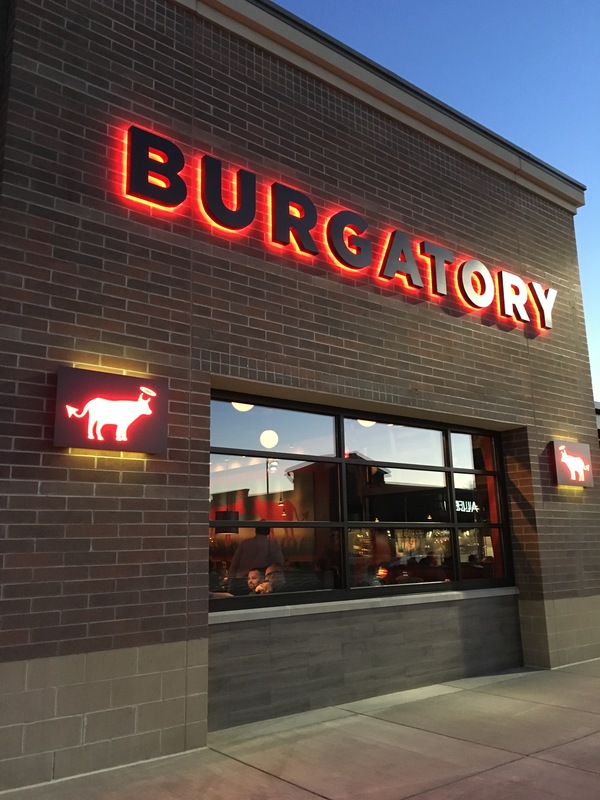 Burgatory is set to open their sixth standalone location tomorrow, April 14th, in the burgeoning McCandless Crossing shopping plaza north of Pittsburgh. 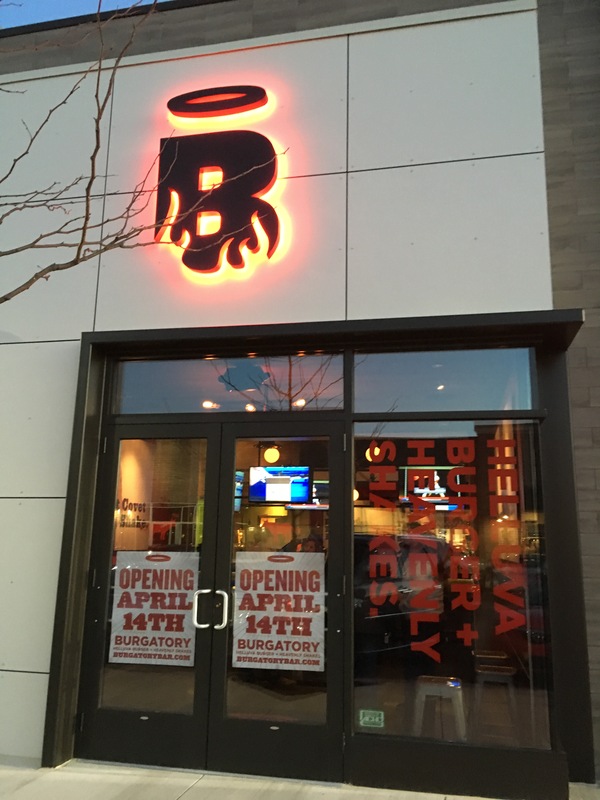 This marks Burgatory’s first reach north of the city and will be a welcome delight to the many clamoring for it. We were invited to the McCandless Crossings location yesterday for the pre-opening training session, and I couldn’t have been more excited to check out another new spot. 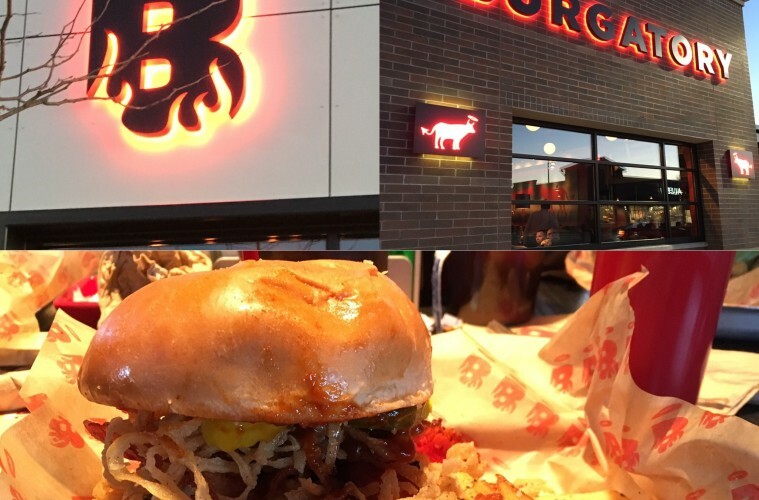 Being invited to attend Burgatory’s pre-opening Family and Friends events are always a treat, and yesterday was no exception. The McCandless Crossing shopping area, is right off of McKnight Road, a ridiculously busy and popular stretch of road filled with pretty much any consumer need or want. There are tons of trendy eateries, industrial sized consumer shops, and an outdoor mall like strip of shops and restaurants. Burgatory seats itself right at one of the corners of the outdoor mall like area, much like its Waterfront, Homestead location. 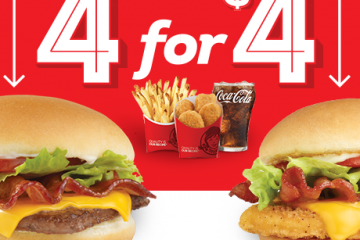 Both locations are near movie theaters and also right across from competing restaurants. The competition doesn’t exactly scare Burgatory away, nor should it considering the Waterfront location seems to always be bustling whenever I frequent it. The McCandless location has a very consistent feel to the other locations, including the trademark silhouette style devil/angel themed art on the walls and the usual flow charts explaining to the eater, just why they’re here and what they should eat. Off of the main bar and restaurant area, there is a room with removable walls, screaming for summer days complimenting the patio feel. 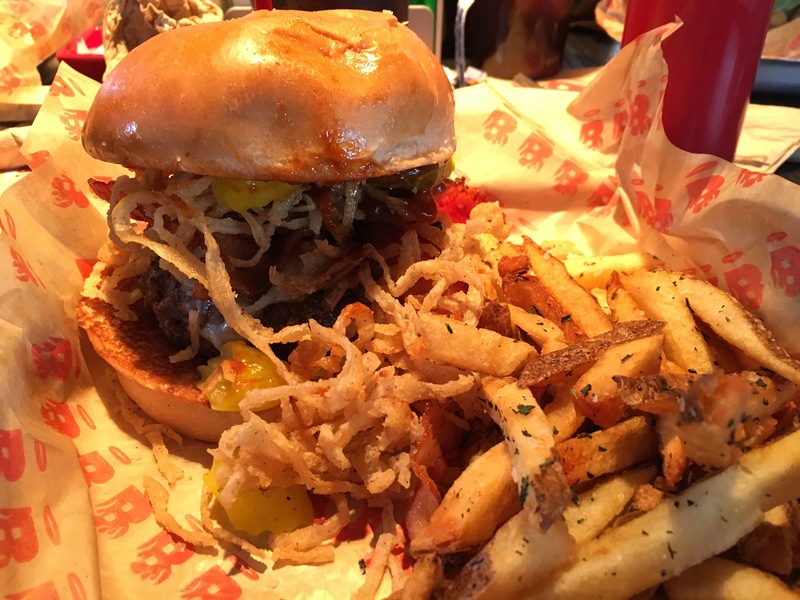 Every time I attend a new Burgatory location, I always order my “go to” burger: Hormone-free beef, brioche bun, Bayou Cajun rub, Farmhouse Cheddar Cheese, Bourbon BBQ Sauce, Applewood Smoked Bacon, Onion Straws, Banana Peppers, and Dill Pickle Chips. This is pretty much a “Cowboy Western” type burger, but it’s definitely my favorite combination. I figure that getting the same exact build at each location gives a general barometer on the consistency of each restaurant. Yesterday’s burger did not disappoint. Featuring a perfectly, medium cooked burger, oozing with juices, spices, and a diesel fueled truck load of flavor, I was transported to a wonderful place called Flavor Town. The accompanying toppings were exquisite and really noticed the smokey sweetness of the BBQ sauce this time around. Still in the end, the burger is what shines through, and boy did it ever. This time around we ordered the Pale Ale Onion Rings as an app, coming with Spicy Ketchup and Chipotle Horseradish dipping sauces. 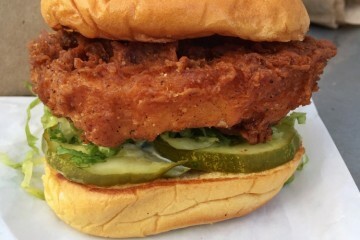 The breading was light, crispy, and flavorful going well alongside either dipping sauces. We also tried out the newish Cookie Monster Shake. Stuffed to the brim with chocolate chip cookie chunks, it eats more like a meal than a beverage, which may be either up your alley or not your cup of tea. This is a pretty solid option, but I have other favorite shakes including the Campfire S’mores or the Fluffer Nutter Butter. Also, the now defunct Coffee & Donuts option was amazing, and Burgatory sometimes brings it back for it’s special Weekend Shake. While the McCandless Crossing location is a bit of a hike for me, I have little doubt it’ll be another prosperous venture for Burgatory. 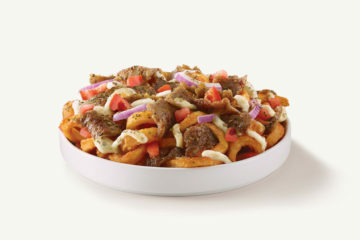 Centered in an extremely busy location and serving up consistently premium food no matter what location is a recipe for success. P.S. 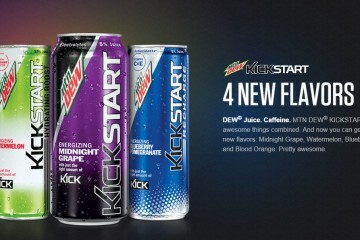 I look forward to the next KangarooWild Game Saturday BOD!